From the very first years of your life, you have been seeing other people playing cards on the table while you weren’t allowed to participate as you were “too young”. But now the roles have changed as this time you are the adult and you are luckier than everyone as you can actually play online. Today we are going to talk about a site offering various kinds of games but we are going to specifically elaborate on one – poker. So take a seat and let’s start our Ignition Poker review to finally find out together if they are any good! 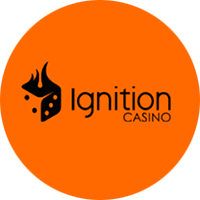 Before we start with Ignition Poker Review, it must be understood that one of the biggest sites of the Best Partners’ family is Ignition Casino. Just like its big brother, Bovada, this casino offers a wide variety of games. A minimalistic design matched with stunning graphics, beautiful animations and an easy to navigate user interface are the first things you are going to be presented with when you visit Ignition Casino for the very first time. When it comes to the Poker room you just have to download Ignition Casino’s Poker launcher and you are good to go. But this isn’t your regular Poker room. No, apart from the wide selection of possible limits you can also select the type of your game. This might be a normal ring table or a Sit-n-Go tournament. There are Freeroll tournaments offered as well so if you don’t currently have much money in your pocket they have you covered. The big feature, however, is that you can actually play on not one, not five, not ten, but 20 different tables simultaneously. We don’t think that you will ever be able to play on more than 2-3 tables in once as the pace of the game is relatively fast for a Poker room. To play poker on PC or Mac, you need to download the software for an ultimate gaming sensation. To save you the trouble we will give you the minimum system requirements. As soon as you make your first deposit in the Poker room you will be awarded a 100% match bonus up to 1,000$. This may sound very good and trust us when we say that it really is but hold your horses for a bit. You will not be given the whole amount at once. There is a different system that applies in Ignition Casino’s Poker room. The bonus will be released in parts. When you play Poker you will earn Poker Points. Every time a specific amount of points has been reached you will receive the next part of the bonus. Here is a simple presentation of how the Poker Points system works. You should also know that as soon as those bonus parts get released you will not have to meet any rollover requirements as they are already yours for the taking. Either bet them again or withdraw them. It is entirely up to you what to do with them. Just keep in mind that you only have 30 days available, after your first deposit, to clear as much of the bonus as you can! If your deposit doesn’t make the bonus land exactly on the end of one of the bonus parts then you don’t have to worry as there is a simple fair way to get the remaining cash bonus you deserve. Let’s say that you make a $250 deposit. As soon as you reach the end of level 5 you will have earned $200. There are still $50 remaining but the next level, the 6thone, gives out $200 upon completion. 200/50 = 4 so you will have to reach 25% of the total 1,500 point needed. So as soon as you get 375 points you will get the $50 remaining on your eligible bonus amount! Throughout 2019 each month you could take part in the Freeroll Tournament series held the very first Tuesday of the month. This has a guaranteed prize pool of $2,017. Even though the last one passed it is expected to see an event of similar fashion held in the upcoming year as well. Remember those Poker Points we talked about before. You can actually exchange them for cash. Every 200 points are equal to $1 which will need to be wagered at least 20 times before becoming eligible for withdrawing. The amount of points you earn in regular Poker tables is different from those you can get when competing in tournaments. For every 0.01-0.04$ in the raked pot you will get 0.05 points and for every 1-3$ you get 1 point (Think of it as 0.01 point per $0.01). You will also get 3 Poker Points for every dollar you spend in tournament entry fees. In case a four of a kind or better beat your Aces full of kings you can get back 100x the big blind and earn up to $1,000. However, in order to qualify for this, at least three players must be dealt into the hand, both face down cards must be used by the winner’s or the loser’s hand and the hands must go all the way to showdown. Tournaments plays don’t qualify for this offer. If you are eligible for it make sure to email the support within 48 hours of the hand by sending them the table and hand number. Get a Royal Flush and you will be awarded 50x the big blind giving you the opportunity to earn up to $200. The same rules as those on the Bad Beat Bonus apply here too except for the fact that the hand doesn’t have to go all the way to showdown. But you do have to win. Of course, both of your cards have to be used in the winning combination. Send them an email with the same details as those mentioned in the previous bonus. Every Thursday night there is a $2,500 freeroll tournament that takes place but only Chrome Players and above can gain access to it. We will be explaining what Chrome is below. “Chrome” is one of the Ignition Rewards program tiers. The rewards system operates on two different point types, the Tier Miles and Ignition Miles. Both of them are earned while playing games. The former is used to climb up the tier levels and the latter one can be exchanged for cash bonuses. Each tier comes with its own redemption rate (amount of points required to get 1$ back) and a daily cashback percentage. The default one (Steel Tier) is 2,500 miles per $1 and a 6% daily cashback. The best one (Diamond Tier) is 1,000 miles per $1 and a 15% daily cashback. Getting access to the Poker $2,500 Freeroll Tournament is very easy as Chrome Tier is the second in the system, right after Steel. It grants you $1 per 2,250 miles and a 7% daily cashback. Each game will get you different amounts of Ignition Miles for every $1 wagered on it. Slots award 5 Ignition Miles, Video Poker and Table games award 1 while Specialty Games will award you 15. There is even a tell-a-friend referral program and a 100k Poker Tournament held every week. What else could you ask for? This is all you have to know when it comes to the Poker room. Let’s take a look at the accepted banking methods, and the support service. Step 1: Click “Join” from the right-hand top corner. You can reach Ignition Casino via a live chat option, email, or telephone line. But apart that they also have an extensive FAQ which we recommend you to have a look before contacting them. Is Ignition Casino on Mobile? Yes. The whole casino mobile experience is pretty good but the Poker room is simply excellent. Seamless delays and a smooth gaming experience overall. Yes! Just like Android and Windows tablets. All you need is to download the iPad. Is Ignition Poker legal to operate in the US? Yes, as it’s located offshore meaning that different laws apply for the website. Only players that live in any of the following 5 states are not allowed to open up a real money account: New York, New Jersey, Delaware, Maryland and Nevada. Does Ignition Poker partner with anyone? Ignition Casino just like the other sites partnered with it pays much attention to responsible gambling. You can see that by the GamblersAnonymous logo they have attached to their credentials in the bottom part of the website. 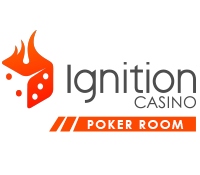 The Poker room of Ignition Casino is suitable both for newcomers as well as professional players. Various limits starting from as low as some cents to as high as tens or even hundreds of dollars. No matter what your experience with playing Poker is, Ignition is the place for you, provided you aren’t a US-based player that is. The other games of the casino are suitable for anyone as well. The selection of games is simply amazing and even though a live casino option is missing we are here to judge the casino’s Poker room. So they get 5/5 on that section. The bonuses are amazing and with realistic requirements. 5/5 for that. The accepted banking methods are only a few and the processing fees when not using Bitcoin are a bit high. 3/5 for that. The mobile experience is amazing so they get 5/5 in that section. Last you have the customer support. They offer live chat, email, and telephone options but unfortunately operating 24/7 isn’t a thing you will find on Ignition. 4/5 for that. So, Ignition Casino’s overall ranking is 4.7/5! Amazing bonuses with logical requirements, great support, and an even better mobile gambling experience make up Ignition Casino’s Poker room. So don’t waste any more time. You have read our Ignition Poker review so you can go check them out for yourself before those amazing bonuses change or even worse, stop being offered at all. Go sign up on their page and start playing some Poker. Good luck!